Sources tell us that Bobbi Kristina believes that her grandmother Cissy “cashed in and sold out” on Whitney’s death, and told WAY too much family business in that book. Bobbi K is reportedly peeved that Cissy used the book to slam her dad Bobby Brown, and and also dished all the dirt about Whitney’s alleged lesbian relationship with Robyn Crawford, her former personal assistant. When Cissy found out just how upset Bobbi Kristina was with her, she did what any grandma would do. 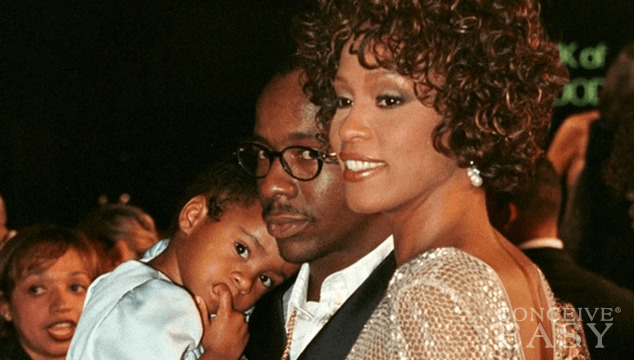 She called Bobbi K to try to make amends, and to tell her that she would never try to do anything to hurt her or to tarnish Whitney’s memory, according to reports. Sources say that Bobbi K had nothing good to say about that, and she was so furious with her grandmother that she told her she never wanted to speak to her again, and slammed the phone down. It’s probably not a good idea to peeve Bobbi K off just yet. Whitney’s daughter is set to inherit over $20 million from Whitney’s estate next year when she turns 21, and Bobbi Kristina reportedly has already told Cissy that she is going to make sure her grandmother doesn’t see a dime of the cash. Apparently Bobbi K feels that her grandmother and others in her mom’s extended family have always tried to cash in on her mom’s life, her fame, and now, even her death and she has vowed to never let any of them get any of her mom’s fortune. It has undeniably been a rough year for Bobbi K since her mom’s death last February. Her grandmother and other members of her family have been concerned that she could possibly follow in her mom’s footsteps of drug addiction if she doesn’t make some drastic changes. Now, unbelievably, the National Enquirer is reporting that Bobbi K is somewhere around four months pregnant, and battling a severe case of depression. Is it true? We don’t know for sure, and only time will tell. What we do know for sure, though, is that Whitney is still at the forefront of Bobbi K’s mind.